Even Victoria and David Beckham are weighing in on the “Brexit” debate. Bank of America and Morgan Stanley have issued memos to their clients, warning them that trading may be delayed or suspended is the market upends itself on the 24th. As you’ve probably heard via Facebook, Twitter, five breathlessly alarmist news outlets, and a thriving Reddit thread, the United Kingdom will vote to affirm or discontinue its membership in the EU this Thursday. You know, the same way you cancel your Planet Fitness membership in a fit of rage after yet another #PizzaMonday dashed your hopes of scoring a free slice before the treadmill vultures descended and robbed you of WHAT IS RIGHTFULLY YOURS. The obvious analogy, here, is an it’s-you-not-me breakup. The pro-Brexit side insists that the short-term pain and disruption of severing ties will be worth the long-term financial benefits (job security, possibly creation, and a market freed of the stagnation caused by EU regulations that decelerate innovation and small business growth). The UK, pro-Brexiters think, will recalibrate and ultimately grow stronger once the dust settles and British businesses begin trading with the EU as a separate country. The anti-Brexit side says these future benefits are simplistic and economically impossible; we live in a globalized era, Britain’s trade ties are far too intimately entrenched in the EU system, and the “short-term” instability of leaving the EU will result in a pricing tailspin, not a new normal. Cue spools of endlessly updating facts and figures, gory re-hashings of Jo Cox’s murderer’s court hearings, bizarre naval-political antics on the Thames River (only the British), and a snaggle of percentages, euro-to-dollar conversion calculations, and GDP growth charts. As long as those crooked-toothed stone goblins keep shooting out royal babies and episodes of Dr. Who, I don’t give a tally-ho f*ck what happens there. Which is a natural enough reaction, until you realize John Oliver is talking about it, and if John Oliver is talking about it, it’s probably important. Plus, the English banned this week’s episode from airing on UK television until after the polls close on Thursday, so you know it packs a punch. Unsurprisingly, Mr. Oliver and his crack team of researchers have done a stand-up job of researching the unexamined (or deceptively-phrased) angles of the story and have distilled their findings into a witty, digestible 15 minutes. Perhaps more surprisingly, a written Brexit explainer (that won’t explode your head) also exists. Enter Vox: Brexit, The UK Referendum That Could Tear Europe Apart, Explained. I highly recommend taking the 20-30 minutes to tackle the whole thing yourself, but for the TLDR folks out there, here are the highlights (note: header titles are taken from each section of the explainer). The EU is a administrative and political system (with headquarters in Brussels, Belgium) that has its own currency (the euro) and a travel agreement (Schengen) that eliminates border-checks and makes trade between different countries easier. The EU can’t declare war or independently levy taxes (the governments of individual countries do that). The seeds of the EU began in 1952, when European leaders decided the best way to prevent yet another world war was to encourage countries (especially West Germany – which was still divided at the time – and France) to rebuild their economies together. The more trade ties the countries shared, the more money they stood to lose if they declared war. The EU (as we know it today) became an official entity in 1993, after the Maastricht Treaty. 2. Why would Britain want to leave the EU? Shed the old ball-and-chain. The Brits have been skeptical of the EU since they threw their lot in with the beta-version of the EU in the 70’s. After the Maastricht Treaty, the UK refused to adopt the euro and enter the Schengen Area; they continued border checks and usage of the English pound. When the 2008 crash and recession hit, the EU suffered even more than the US; the Brit’s mild doubts grew to a roar; they wanted off the sinking ship. The use of the euro (and EU austerity measures) prolonged the recession (the EU went for a second dip in economic depression, while the US experienced a more steady recovery). By year three of the second dip (2012), the members of Prime Minister David Cameron’s Conservative Party pushed for a “Brexit” vote (though no one called it that, back then). Cameron promised, in 2013, to put the vote to citizens in 2015 if his party won reelection. They did; Cameron and Conservatives passed a bill that guaranteed the vote would happen before 2017. A month after that bill, Cameron scheduled the vote for this Thursday, and here we are. 3. What’s the case for the UK to leave the EU? Two things: trade and immigration. The EU restricts the freedom of member nations from making their own decisions about imports, exports, trade policies and regulations, tariffs, and quality control of commercial products. All the little rules that impact traders and businessmen in individual countries must be raised and voted on by all countries; disagreements abound, and most complaints get lost in the shuffle of majority rule. Classic administrative stagnation. Though the UK isn’t part of the Schengen Area, the EU requires the UK to admit an unlimited number of EU immigrants into its borders; there’s a flood of people from more depressed EU countries moving the UK to search for work. That, pro-Brexit picketers say, means fewer jobs and depressed wages for British citizens. Extremists are using fear-mongering tactics: xenophobia and the claim that immigrants will heighten the risk of sexual violence for women. 4. What’s the case for the UK to remain in the EU? Maintaining economic stability, respecting the market forces of the EU, and reaping the benefits of being a (dominant) part of a larger whole. Some benefits: because trade regulations are synced up throughout the EU, UK companies don’t have to set up a company headquarters in each member nation in order to do business with that nation. 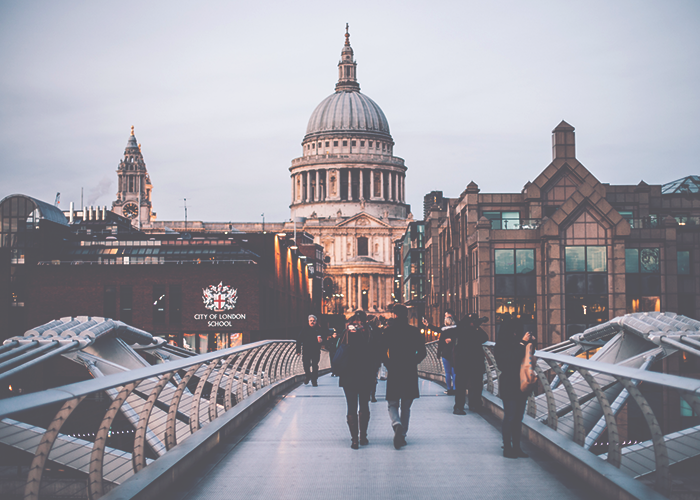 Many non-British companies have based their headquarters London (because English is the most-spoken language in the world), boosting the UK economy and creating jobs. Prime Minister David Cameron argues that the UK also enjoys safety in numbers (more seamless communication and cooperation among EU countries’ individual law enforcement teams in the face of EU-wide threats). 5. Can’t the UK just negotiate favorable access to European markets after leaving the EU? Probably not. The UK could broker a deal where they break off from the EU but agreed to obey the majority of EU trade rules and thereby continue to trade with EU member nations uninterrupted. But EU leaders may not want to reward Britain’s behavior; there are plenty of other skeptical countries that might bail if they see the UK get the best of both worlds – independence and continued trade ties. Plus, many pro-Brexiters don’t want to conceded and adopt any EU regulations once the UK secedes; EU nations certainly wouldn’t agree to trade with them if they drop all EU trade laws. It’s not possible for the UK to exercise full control over the own market and have unrestricted, member-like access to the EU market at the same time. 6. What will happen if the UK votes to leave the EU? It’ll get messy. The EU constitution requires any member nation (the UK) to negotiate its exit with the EU; member nations will all have a say about the legal and economic terms on which the UK will be allowed to leave. UK citizens living abroad and immigrants living in the UK will overload embassies as everyone is forced to update the immigration statuses. And if the countries can’t reach a compromise on exit terms, then UK businesses won’t be able to sell to any country within the EU market without a total overhaul of their products, environmental standards, etc; very costly. The British economy could shrink to between 3.8% and 7.5% smaller by 2030. Plus, anti-Brexiters argue, the Brexit could rupture the UK itself; Northern Ireland and Scotland like having the UK as part of the EU, because it counterbalances England’s dominance over Scottish and Irish markets and laws. If the UK leaves the EU, Ireland and Scotland might leave the UK. 7. Which side is going to win the referendum? It’s a toss-up, in this world where Trump is a serious Presidential candidate. “Stay” supporters have enjoyed a lead for most of the campaign. Recently, it’s gotten closer: betting markets show that there’s a 40% chance that the Brexit will get voted in. Even more recent polls show that the “Leave” proponents have a slight lead; similar to rogue voters nominating Donald Trump as the presumptive Republican candidate (against party advice), UK citizens are disenchanted with their major parties’ admonitions to stay in the EU. 8. I skipped to the end of the article. Why should Americans care about this? It’s a political thing, not a money thing. The Brexit wouldn’t spark a global market tailspin, but the negative impacts of a UK “peace out, mofos” could have a negative impact on US trading (the UK is one of our biggest trading partners), if a minor or short-term one. The political worry is that A) if the UK jumps ship, other skeptical countries will follow and further destabilize the amicable agreements and political solidarity between European countries, and B) the validation of Brexit extremists might discredit Prime Minister David Cameron and more (relatively speaking) moderate Conservative party members, leaving space for far-leaning populist leaders to take power (and potentially stoke the embers of British xenophobia and erratic, us-before-them political decision-making).